Dustin Poirier says he's going to put on a performance to get himself in title contention against Justin Gaethje. Dustin Porier takes on Justin Gaethje on April 14 in what will be his third fight in a row against a former world champion. Former WEC champion Anthony Pettis and former Bellator and UFC champion Eddie Alvarez were the two men before, but next up it’s the former WSOF champion Gaethje. Speaking to MMAJunkie Radio this past week, Poirier was asked whether he had been asking for his own UFC title shot yet and Poirier responded by saying he’s never done anything of the sort. Gaethje’s last fight saw him lose for the first time in his career when he stopped by Alvarez at UFC 218. Poirier said he thinks this leaves Gaethje at an important crossroads, but whatever the case he says he’s going to be prepared for whatever Gaethje turns up on fight night. “With Justin Gaethje, there are two things that are going to happen with this guy. Either, he’s doubting himself after his first loss and his first time getting finished, or he’s going to be focused on being the best he can be when he comes back. I’m prepared for either. Fighting three former world champions in a row is no small task. Poirier said he see’s his fight with Gaethje a big opportunity to put himself in the UFC title picture and that he’s going to be looking to do it with style points so he gets his own shot at UFC gold. 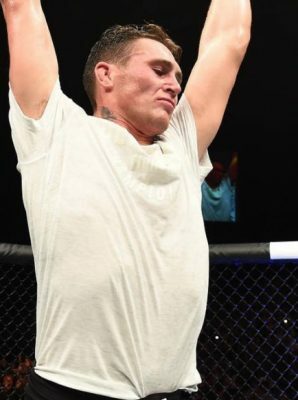 “I take pride in sliding by these guys and being happy to hang with these guys, but punishing these guys, outclassing these guys and deep in my heart I feel I’m going to finesse Justin Gaethje and it’s going to be another beautiful performance,” Poirier said.